Description Set of 7 Mexican Semanario Bangle Bracelets, which represents 7-days of the week in Spanish for good luck all week long! Silver plated solid metal with a PLAIN smooth and shiny finish, both outside and inside. Easily and comfortably slips into the hands without hurting. Size Range Size 5 (Petite/Teen) size and Size 6 (Adult/Regular) size. 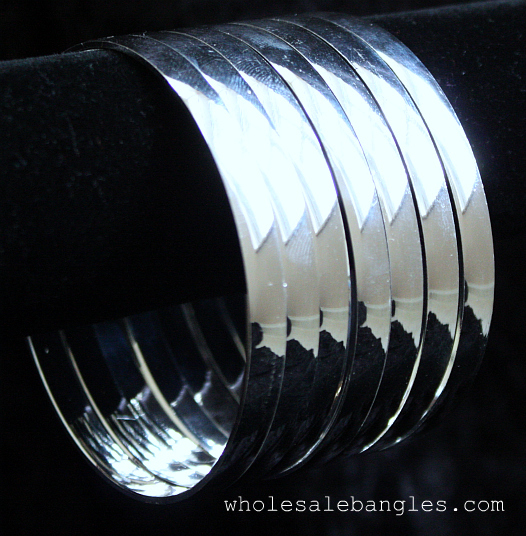 Weight Ranges from about 16 g to 20 g per bangle, depending on the size.